And then begin gluing your choice of pasta to the outline. 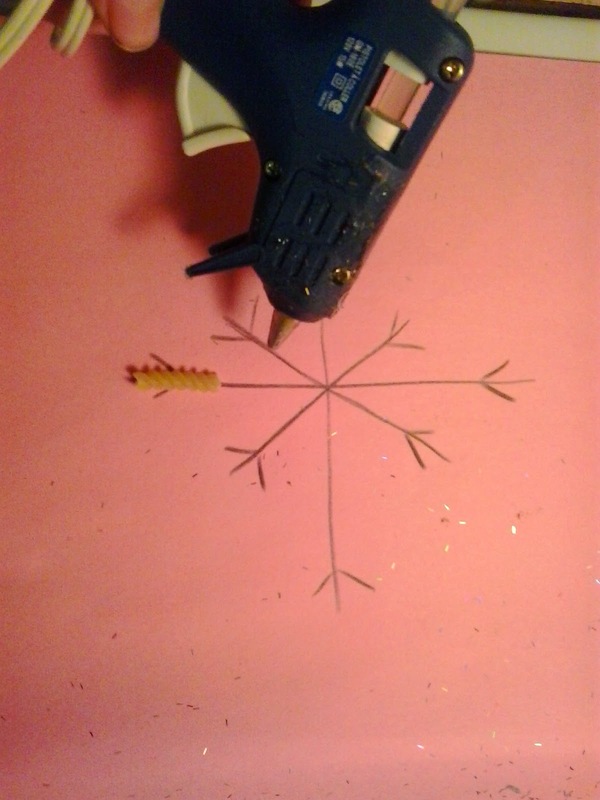 Glue pasta on until the entire outline is covered. I used my glue gun for the placement of the pasta so the kids could get on with the fun stuff. 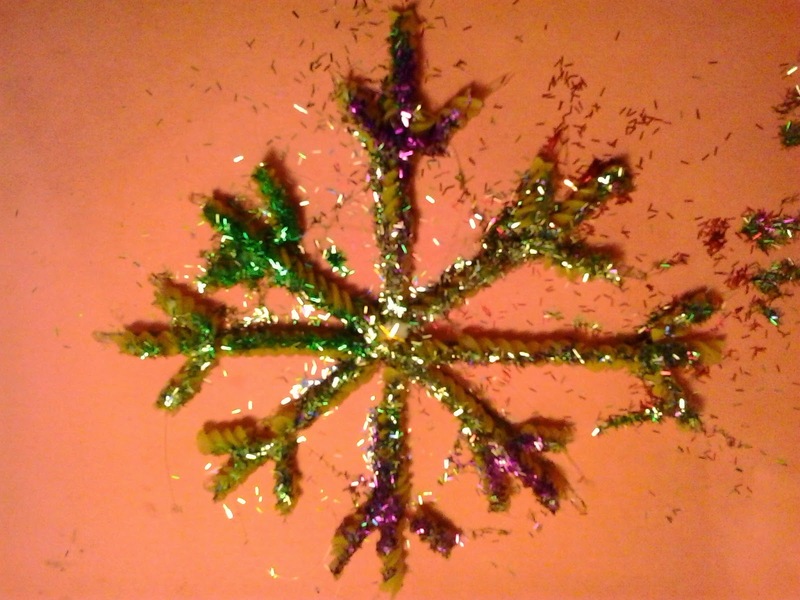 Then once the outline is complete I let the kids go crazy with school glue and glitter. And there you have it. 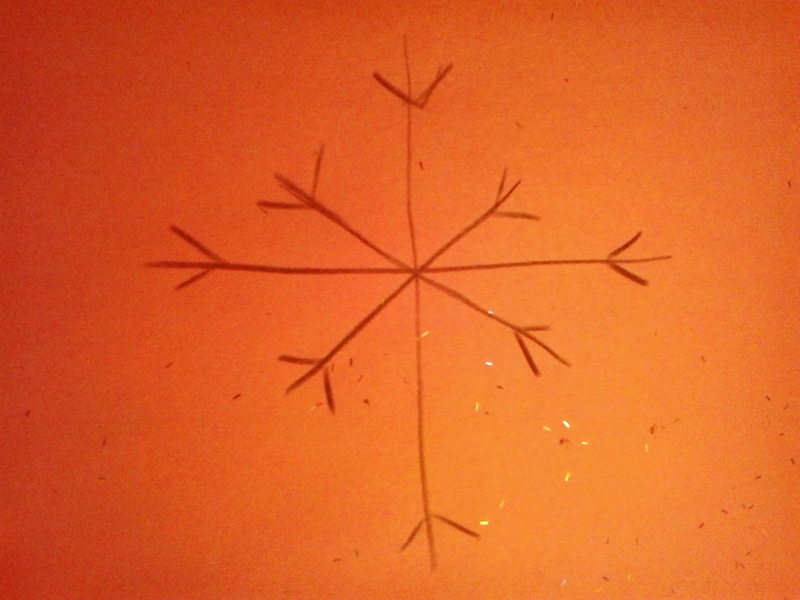 Cut the snowflake out but leave it attached to the paper so it doesn't fall apart. Hang them on the tree or wherever you like. These make great gifts for grandparents.